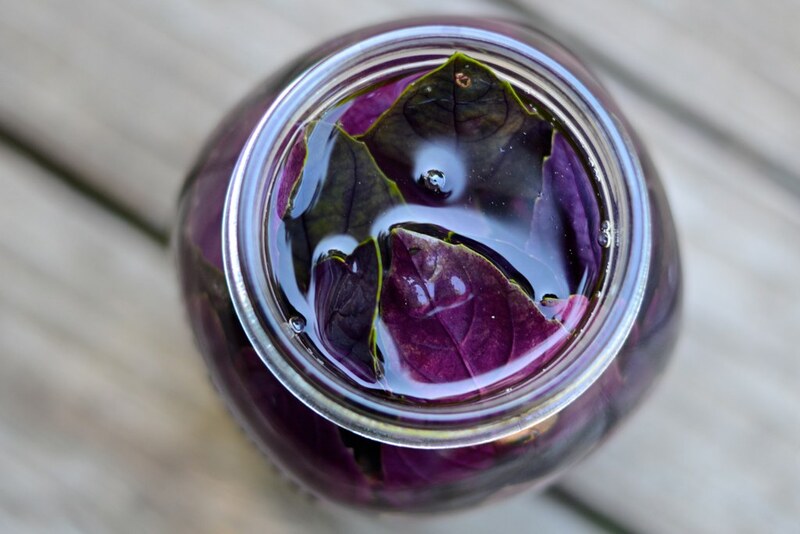 I’m not sure if this hint of a recipe falls under the category of “food preservation,” but it does use a couple of summer favorites, and it tastes pretty darn good. 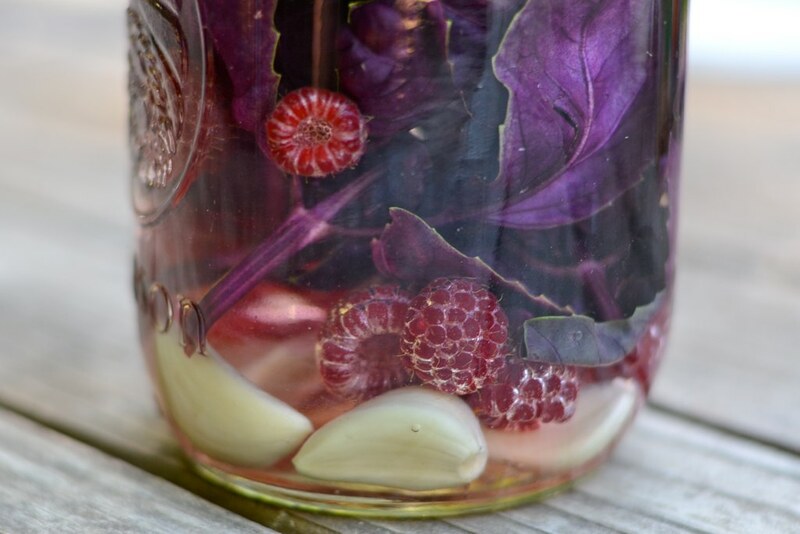 Raspberry-garlic-purple basil infused vinegar is perfect for vinaigrette dressings or marinades. It only takes a couple minutes to put together if you have the ingredients on hand, so it’s definitely worth a try. These raspberries came from my in-laws garden. Thanks, Joanne! 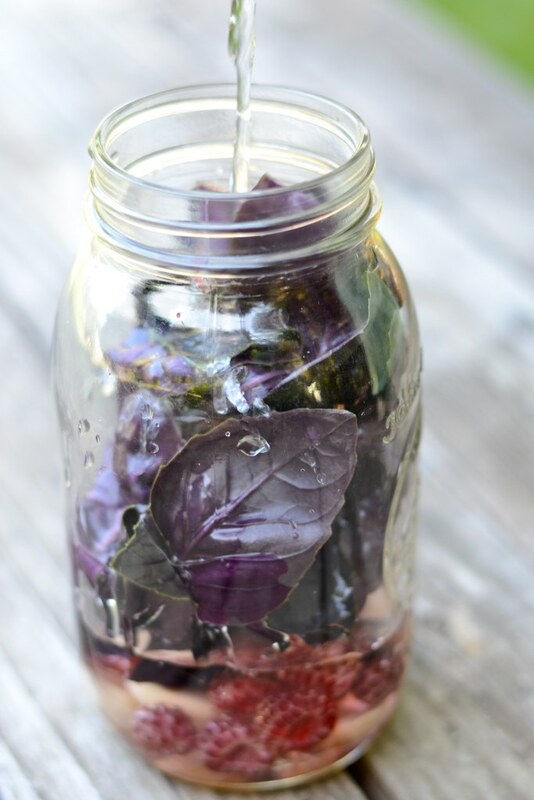 Purple basil can be a little hard to find. This is Amethyst Improved from my parents’ farm. Your best bet is probably to grow your own. 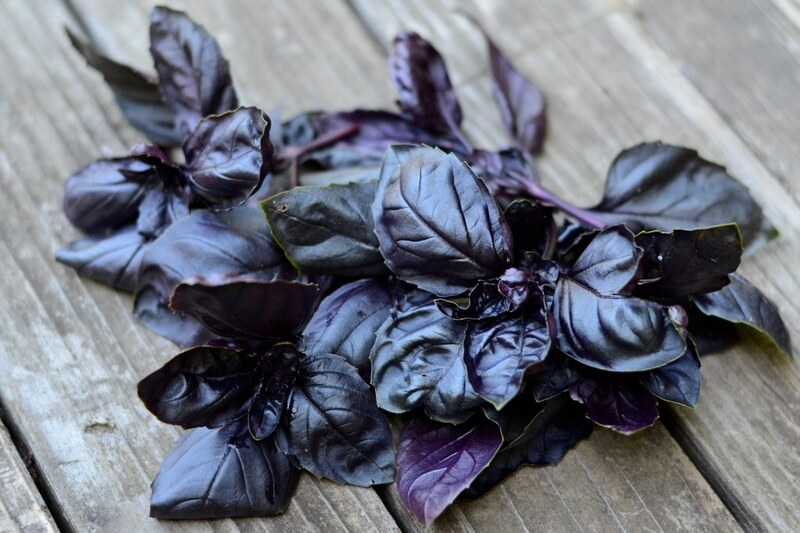 It’s just as easy (or hard) to grow as any other kind of basil, but it has a little bit stronger flavor and a beautiful dark color. 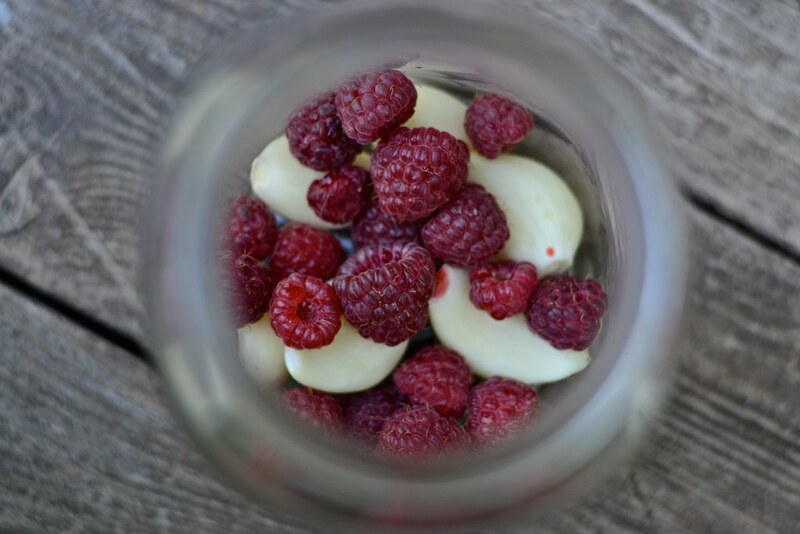 For a quart of vinegar, drop a small handful of raspberries and a small handful of peeled garlic cloves into a jar. Stuff a few sprigs of purple basil in on top. Cover everything with white wine vinegar or champagne vinegar. Distilled white vinegar will do in a pinch, but it can be a little harsh. At first, the vinegar will be clear, but you will see it begin to turn pinkish in a matter of minutes. The rosy photo up top was taken only a couple hours after I mixed it up. Leave it in a cool, dark place for about two weeks, and then strain out the solids. Keep this vinegar in the refrigerator for up to six months. Metal or plastic lids will get corroded by the acid eventually, so it’s best to use a cork, ceramic, or glass lid to cover the jar. I’m going to go to the hardware store today to get a nice big cork. Won’t that look good? I am doing salsa this week. 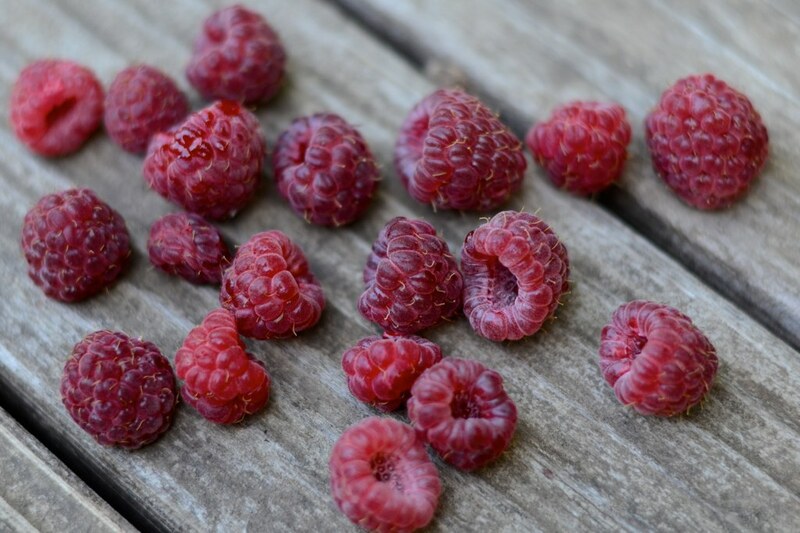 I have to do more raspberry jam – it was such a hit when I had family over. I will make this vinegar next week. Thanks for all these recipes, I really enjoy it.